Travellers dream of being on the road – taking the plane, train, bus or car to get to the next destination – its always on our minds. But what about the turnaround time? That precious time to energize, organize and reconnect with your home base? As a freelance journalist who writes about travel, I try to plan time at home to appreciate where I’ve been, look forward to where I’m going and to organize my in between world. I’m lucky the opportunities keep coming – and that I can adjust from the variety of the planet I get to see. So although my mind is a jumble of being two weeks in Ecuador – between the rainforest and the Galapagos Islands – I’m now on my way to the state of New Hampshire after two days at home. I’ll be seeing mountains and beaches, tasting local cuisine, learning about the arts and culture and exploring this border state this week. 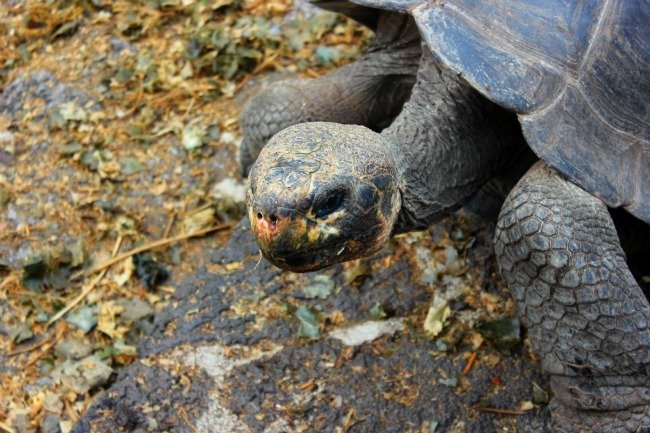 But back in my head I’m thinking about an old tortoise I saw on Santa Cruz Island at the Charles Darwin Research Center in the Galapagos Islands. I’ll remember his quiet gaze and lumbering walk – and that he has been on this planet four to five times longer than I have been. If he can sustain the energy to keep on going – so can I. Bring it on New Hampshire!